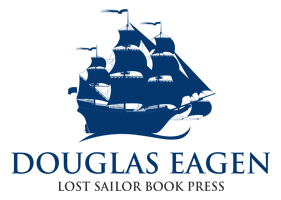 Hey – Welcome to the world of Lost Sailors and other quirky characters. Really glad to share my buddy, Jimmy Star Two Fingers with you. Believe it or not, he’s a loveable outlaw. I guess you’ll find that out (and a whole lot more about Jimmy) as soon as you access your complimentary Flip Book from Chapter 1. Access your FREE Chapter right now! Simply click on either the image or the link below. 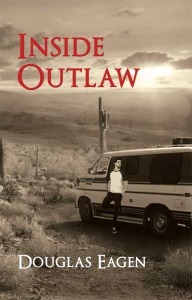 Inside Outlaw is a tale about the ordinary days of a modern day outlaw. Follow Jimmy Star Two Fingers and his chihuahua Snoop as they travel the deserts of the Southwest, running drugs from the Mexican border, all the while looking for a love they lost some time ago. Jimmy crosses paths with bandits, bikers, and aging locals in Demry, a mining town long past it’s prime. Jimmy happens upon Demry during it’s yearly town celebration. Looking for a bite to eat Jimmy meets Claudette Burns, a life long resident of Demry. Outspoken to say the least, and looking for a friend herself Jimmy accompanies Claudette to the festivities. What follows is an example of the everyday hopes, dreams, aspirations, and pitfalls of everyday life in a not so everyday man. Jimmy’s past and present collide when unusual circumstances make him take a close look at himself, his surroundings, and his understanding of what he really wants out of life. Between these pages you will find a delightful tale of a New Modern Western. Complete with damsels and dastardly deeds, Jimmy’s unfortunate timing may just be the best thing that ever happened to him and may lead him to the life he always dreamed of. I hope you enjoy the tale of first of my many Lost Sailors, Jimmy Star Two Fingers.